FRESNO, Calif. (KGO) -- An Associated Press analysis of government data shows nearly 1,400 water systems in the United states have gone over the federally allowed lead level at least once during the last three years - and now there's an online tool so you can look up your own water. An ABC7 News check of Bay Area data showed no large water systems over the lead limit. But there are some small communities over the limit. Most use well water and appear to be isolated cases, not believed to have caused health problems. Two Bay Area schools reported high lead readings. Lakeside Elementary School, Los Gatos: Elevated lead levels were found last summer in water from sinks and faucets not normally used for drinking water. The school principal reports parents were notified and precautions are being taken while the problem is fixed. The school is doing required testing on the water, and bottled water is provided for drinking (PTA was already providing bottled water for students who preferred it because of taste.) More action may be taken based on the results of a corrosive control study scheduled to be completed by 2017. 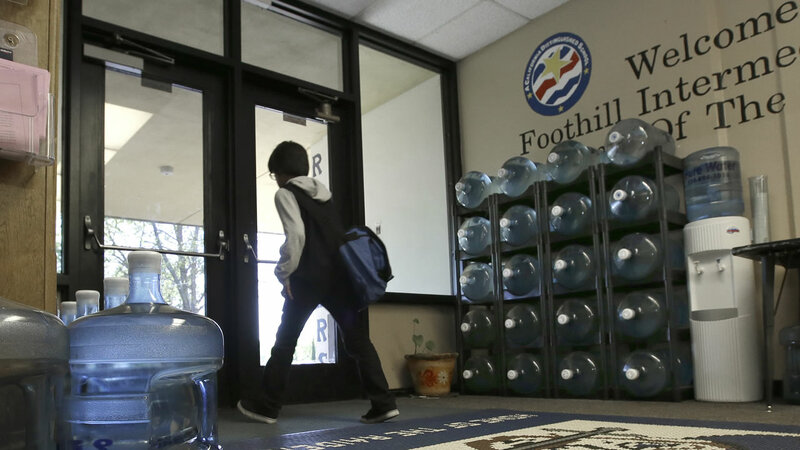 Twin Hills School, Sebastopol: Elevated lead levels were found in water in one sink. The school superintendent reports it was a staff room sink used for washing dishes, and not available to students. The sink was closed off so there was no drinking from it. A later test of water showed lead level in the normal range. The school already provides bottled water because of taste.